This award recognises Comtek’s outstanding business performance in recent years. 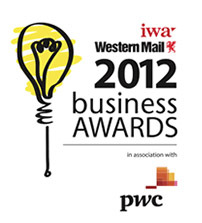 Comtek’s potential for growth, innovation and commitment to Wales was key to winning this much sought-after award. The awards evening took place at Cardiff’s City Hall and was attended by Comtek’s CEO Askar Shebiani and Comtek’s HR Director Christine Sheibani.